Manchester City trounced Chelsea and handed them their biggest defeat since 1991, in their recent Premier League fixture. The home side was too ruthless. They had scored 4 goals in the first 25 minutes itself. They would go on to score two more in the second half and defeat a stronger rivals like Chelsea 6-0. This could not have been better for Manchester City, it seems. With this victory, they have made the title race more gripping. 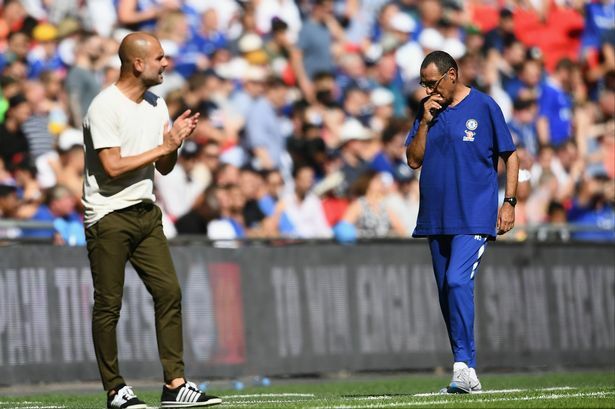 However, after the final whistle, Sarri appeared to be refusing handshake with Manchester City coach Pep Guardiola. "People don't understand how difficult it is… In my first season it was tough too. It takes time, it needs owners to really believe in that. I don't have to convince Txiki, he knows me. He knows I'm not good when I win or bad when I lose." Whatever it is, the defeat sees Chelsea drop to sixth while a revitalized Manchester United go to fourth in the points table. Chelsea will have to work hard in the next weeks to regain that spot. While Manchester City will be eager to continue playing this level in the coming weeks. 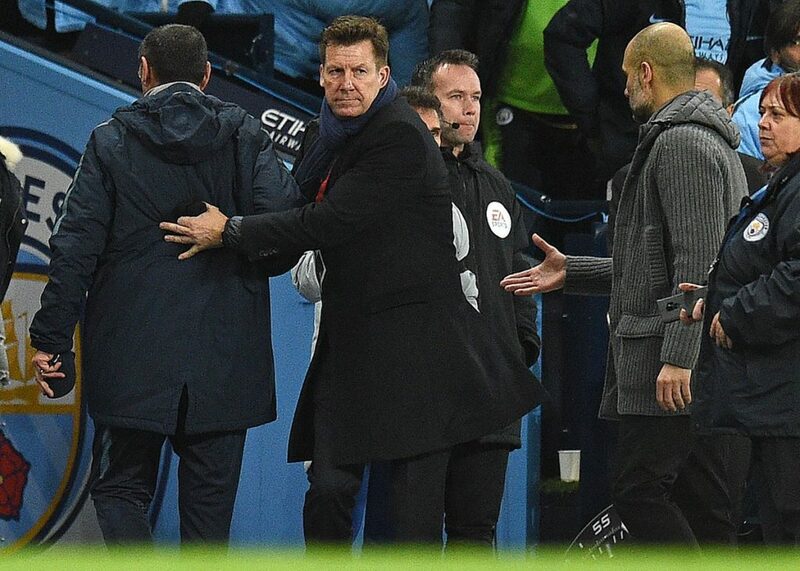 It appeared that Sarri snubbed Guardiola’s handshake however, Zola told Guardiola, Sarri also admitted that he had not seen Pep Guardiola and was in a hurry to go to the dressing room. The former Napoli coach also said that he will tell him hello later. However, Sarri and Chelsea have a chance to take revenge against Manchester City when they face Pep Guardiola’s side in the Football League Cup Final later this month. But it remains to be seen if Sarri will remain as Chelsea head coach until then. Will he or will they sack him after this embarrassing defeat? Only time will tell.